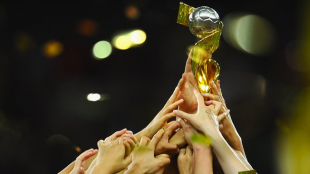 History was made on Sunday by the US Women’s National Team as they defeated Japan to bring home the Women’s World Cup trophy for the third time. In the latest edition of the KYW Philly Soccer Show, KYW’s Greg Orlandini and PSP’s Eli Pearlman-Storch are joined by women’s soccer expert Jami Dansingburg, who has an advanced diploma from the NSCAA and is co-founder of Global Soccer Metrix. US women vanquished Japan, 5-2, powered by a hat trick in the first 16 minutes from Delran, NJ native Carli Lloyd. Greg, Eli, and Jami discuss some of the individual performances, especially from defenders Julie Johnston and Pittsburgh-native Meghan Klingenberg, who both stood out throughout the tournament. Greg and Eli then shift back to the Philadelphia Union, who return to league play this Saturday when they host Portland Timbers. The Union had the weekend off after they defeated DC United in the US Open Cup last Tuesday in a 2-1 come-from-behind win at PPL Park. On Tuesday, more good news came with the confirmation the loan of forward Fernando Aristeguieta has been extended until the end of the season. The team officially announced the extension on Wednesday morning after the taping of the podcast.